PALM BEACH, Fla. – March 30, 2017 – Barrett-Jackson, The World’s Greatest Collector Car Auctions®, will continue its long-standing tradition of bringing the “who’s who” of buyers together with a diverse collection of custom and rare collector vehicles during its 15th Annual Palm Beach Auction, April 6-8, 2017, at the South Florida Fairgrounds. Long-heralded as South Florida’s premier automotive lifestyle event, this year’s auction will not only host an unprecedented gathering of world-class pre-qualified bidders with virtually unlimited buying power, but also five exceptional vehicles that will cross the block to benefit charitable causes across the nation. The winning bidder of Lot #3002 will receive the rights to the FIRST retail production of the 2018 Chevrolet Camaro ZL1 LE, with 100 percent of the hammer proceeds benefiting United Way. The ZL1 LE features a 650-horsepower, supercharged LT4 engine backed by a 6-speed manual transmission, rounding out an incredible performance package. 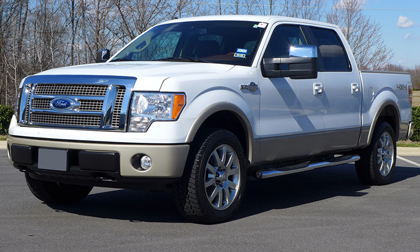 A workhorse that’s simply “presidential,” Lot #3004 is a ’09 Ford F-150 King Ranch Super Crew Pickup once owned and used by former President George W. Bush on his Texas ranch. Both the original title and right airbag panel feature Bush’s signature, and the entire hammer price will benefit the Community Foundation of Cleveland and Bradley County, Tennessee. Built by the next generation of auto specialists, Lot #3001, a ’96 Ford Mustang, was designed and fabricated by students at the Jordan Vocational High School in Columbus, Georgia. Winner of the national 2016 Quaker State Best in Class Competition, the vehicle is powered by a 3.8-liter engine with automatic transmission and sports a new suspension and more. Encompassing the spirit and enthusiasm of the students who built it, the car’s hammer price will go to Jordan Vocational High School. The sixth of only 50 built by Sanderson Ford, a ’07 Ford Mustang GT Custom Fastback (Lot #3003) showcases meticulous craftsmanship that shines throughout every vehicle detail, including custom body panels, tribute signature seats and carbon-fiber trim.The sale of this remarkable beauty will benefit The Darrell Gwynn Chapter of the Buoniconti Fund to Cure Paralysis. Sporting only 58,000 original miles, Lot #3000, a ’69 International Travelall,will cross the block in support of the Boy Scouts of America. Unique in the market and ahead of its time, this Travelall is powered by the optional V8 engine.